Agree with it or not, the sugar tax is now well and truly with us, with hiked prices for high sugar drinks fuelling a trend towards low and no sugar options that was already evident in the market. 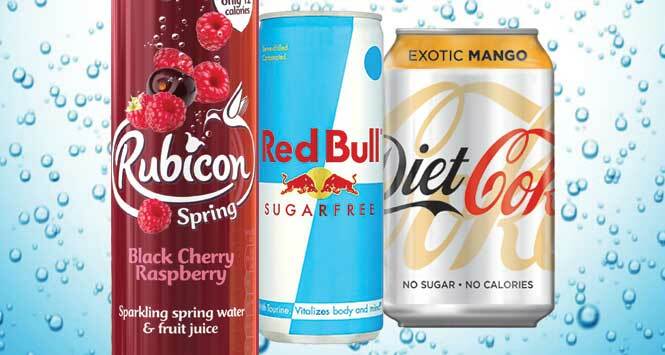 There has never been a better time to take a fresh look at your soft drinks range to ensure you are meeting the demands of modern shoppers, particularly as they begin to notice the sizeable price differentials between full and low/no sugar lines. One thing that hasn’t changed however is the overriding reason why most consumers choose a soft drink: great taste. That combined with flavour choice and the right pack formats remain the key drivers to soft drinks sales and the major manufacturers haven’t lost sight of this when shaping their offering to meet these new, healthier demands. While the likes of Coca-Cola and Irn-Bru have taken different routes to positioning their full sugar ‘classic’ options – Coca-Cola toughed it out and is keeping the full sugar variant as a premium option while AG Barr has slashed the sugar content of Irn-Bru – there’s no question that the major players are shifting the bulk of their marketing and NPD spend into low and no sugar. “There is still strong demand for regular soft drinks and AG Barr has a responsibility towards these consumers to help them reduce their sugar intake,” says Adrian Troy, Marketing Director at Barr Soft Drinks. Troy highlights that Barr Soft Drinks mid, low and no-sugar offering now includes Irn-Bru regular (50% less sugar), Irn-Bru Sugar Free, Irn-Bru Xtra, Rubicon Spring, Rockstar Revolt and Snapple Iced Tea. Along with reduced sugar comes reduced calories and the growth in popularity of lower calorie soft drinks means that it’s more important than ever for retailers to talk to their customers, find out what they’re looking for and then tailor their offering. 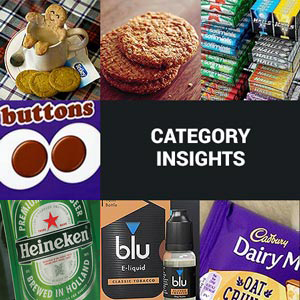 Troy again: “Our research has highlighted that many carbonates shoppers in particular are looking to reduce their sugar and calorie intake, so it’s crucial that retailers react accordingly to cater for shopper needs and maximise sales. When it comes to energy drinks, Barr has focused its no-sugar game with the launch of Rockstar Revolt. “Rockstar Revolt appeals to the growing number of consumers who want zero sugar energy, but don’t want it to look, feel, perform or taste different to full sugar energy,” says Troy. The UK’s number one energy brand, Red Bull, has also expanded its sugarfree range as part of its commitment to become more relevant with current health and category trends, and drive market growth. The launch includes the completion of Red Bull Sugarfree, with a 355ml PMP offer, while the brand has also revisited its Editions range with two Red Bull Editions – Tropical and Orange – as a 250ml can sugarfree option, available in PMP and plain packs. The launch also sees the brand extend its portfolio with the addition of the first Red Bull Sugarfree 473ml can (PMP and plain). Research highlights that shoppers are currently purchasing 44% more low calorie functional energy big cans than last year, and 28% more low calorie functional energy flavours [IRI, Oct 2017]. With low calorie and big cans currently growing faster – 7% and 14% respectively – than the brand as a whole (according to the same data), the extension of Red Bull’s Sugarfree range will ensure shoppers can now choose a sugarfree alternative for every Red Bull pack. First Launched in 2001, Red Bull was the first to market with a sugarfree option. The existing Red Bull Sugarfree 355ml, which launched in 2006, continues to perform well despite flat distribution in 2017, and has grown 73.7% highlighting clear potential for growth within the sugarfree category. More than one and a half times bigger than the number two low calorie sports and energy SKU, Red Bull Sugarfree 250ml is currently the fifth-largest low calorie drink within total soft drinks [IRI, Oct 2017]. Designed to expand Red Bull’s success within the sugarfree energy drinks category, the brand-new range will offer consumers choice and remove the current taste and health barriers to trial. With over half of shoppers walking away from a purchase if there is no low calorie offering, the NPD will encourage more 18 to 34-year olds, who want to cut down on sugar without giving up on pick me ups, to drink Red Bull Sugarfree by driving trial. With the Red Bull 2017 single can portfolio achieving 5.4% brand growth in a flat category, the new offering aims to help reinvigorate the category further. The launch is supported by Red Bull’s biggest-ever campaign on sugarfree. 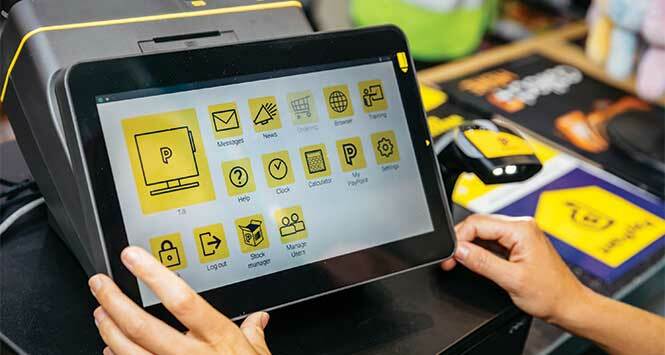 With a complete 360 degree approach, the activity is supported above the line with video-on-demand, digital, outdoor and social media campaigns, whilst shopper activations and dedicated POS will drive awareness instore. Amy Burgess, Trade Communications Manager at Coca-Cola European Partners (CCEP), is also encouraging retailers to embrace the low and no sugar opportunity: “It’s important for retailers to offer a wide selection of low or zero sugar drinks and constantly revise soft drink ranges as manufacturers innovate new lighter options to meet rising consumer demand for healthier options. CCEP recently unveiled two new variants of Diet Coke and one for Coca-Cola Zero Sugar to build on the growing consumer demand for light colas [Nielsen, Aug 2017] and flavour options [Kantar, Aug 2017]. Burgess comments: “Exotic Mango and Feisty Cherry have joined the Diet Coke portfolio, which is the first time the brand has introduced new flavours since 2003. These new variants are the first to feature Diet Coke’s brand new contemporary design that includes images and coloured banners to reflect the flavours, whilst still using the iconic silver colour. “Exotic Mango offers a bold, fruity variant of the well-loved brand that maintains and complements the great, much-loved taste, whilst Feisty Cherry appeals to consumers looking for something a little different with a kick of chilli alongside the cherry. “Coca-Cola Zero Sugar Peach follows the success of the Cherry and Vanilla variants launched in 2017 and is the first product to be available in a new, sophisticated red can design that celebrates the iconicity of the Coca-Cola brand. This is the latest step in our One Brand strategy that aims to unite and celebrate the product family, whether it’s a Coke with or without sugar, or one of our new flavours. As well as launching new flavours, CCEP has also refreshed the entire Diet Coke brand, supported by a £10m advertising campaign for 2018. “As part of the refresh, Diet Coke now has a new look and feel that includes a larger logo etched onto the background of the iconic silver can,” says Burgess. “It’s a subtle but contemporary update that aims to appeal to both loyal fans and new drinkers. Much of CCEP’s energy is also going into its Coca-Cola Zero Sugar product which launched back in summer 2016 and was supported by a £10m marketing campaign, the company’s biggest brand investment for a decade. Since then CCEP has distributed a whopping 15.4m samples nationwide to drive trial of Coca-Cola Zero Sugar and has launched two new flavour variants Coca-Cola Zero Sugar Vanilla and Coca-Cola Zero Sugar Cherry. As a result, Coca-Cola Zero Sugar has become the fastest growing cola brand in Great Britain, up +41% [Nielsen, Sep 2017]. Now worth £136m in value in Grocery, Coca-Cola Zero Sugar is the fourth-biggest cola brand in the country. It’s clear then that the direction of travel of the category is in one direction, but none of major manufacturers see the sugar tax as the most effective way of achieving wider societal aims. Burgess concludes: “Our position on the soft drinks tax is clear. We agree that there is a major societal challenge around obesity, but we do not believe that a tax on one product category is the best way of tackling such a complex issue – particularly when that category has been leading the way in sugar reduction. In fact, since 2014 sugar from the soft drinks category has declined by over 20% [Kantar Dec 2017 v Jan 2014].